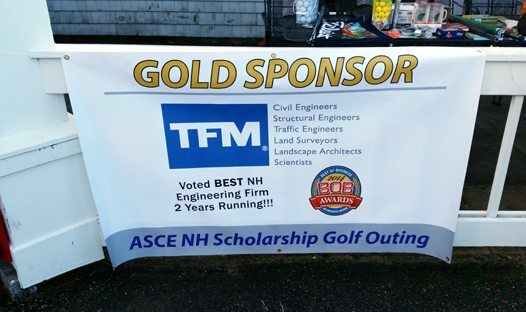 On Friday, June 6th TFMoran was a Gold sponsor for the New Hampshire Section of the American Society of Civil Engineers (NH-ASCE) scholarship golf outing at the Beaver Meadow Golf Club in Concord, NH. All proceeds above event costs go to the NH-ASCE Scholarship Fund to assist NH high school seniors and UNH students enrolled in ABET accredited Civil Engineering programs. Senior Project Manager, Nick Golon, PE, also a member of the NH-ASCE Board of Directors, represented TFMoran on the fairways and greens and was accompanied by Walter Bilynsky, Joe Sperry and Alan Roe. The weather was beautiful, the scores were low, and a great time was had by all!